When it comes to financial priorities, many employees are primarily concerned with paying down debt, saving for large purchases, or affording child care and college education. Employees must figure out a plan to address these immediate expenses before they can turn their attention to saving for retirement. However, many employers are shifting their retirement benefits programs to a defined contribution, self-service model, which does not address financial challenges for employees in areas beyond retirement readiness. The Consumer Financial Protection Bureau defines financial well-being as having control over day-to-day and month-to-month finances, having the capacity to absorb a financial shock, being on track to meet financial goals, and having the financial freedom to make choices that allow you to enjoy life. Employers need to focus beyond retirement readiness to also include employees’ overall financial well-being. 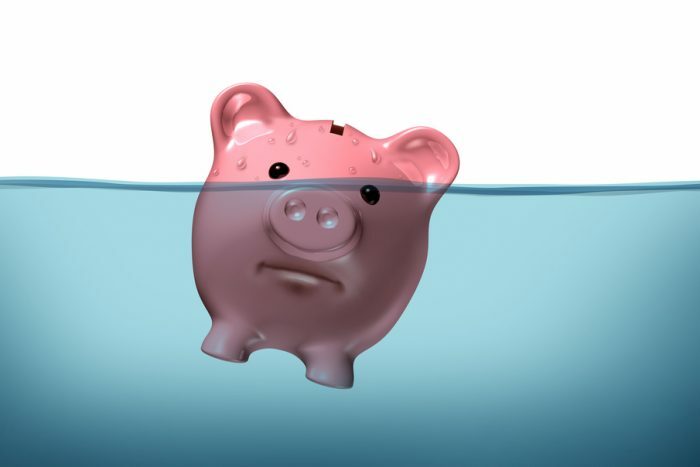 Seven out of 10 American workers say financial worry is their most common cause of stress, and the American Institute of CPAs reports that about one in five employees admitted they had skipped work in the past year to deal with a financial problem. Day-to-day financial stress impacts employees’ productivity, and organizations’ bottom lines, as workers take time during the work day to figure out their personal affairs. Financial stress also has implications on medical costs for employers and employees. The Xerox Healthcare Attitudes survey revealed half of millennials admit they delayed, or did not seek treatment, for a healthcare issue due to costs. Increased medical costs can also result in increased financial stress, creating an endless cycle. As employees continue to face challenges with financial planning, more and more are turning to their employers for assistance. Companies have started to launch educational and promotional campaigns to improve financial well-being, and over 90% of large plan sponsors will be adding a comprehensive financial wellness program in the workplace over the next decade. Education helps employees improve their financial literacy and understand how to use financial tools provided by their employer to make well-informed decisions. Account aggregation combines data from both employment and external financial accounts so employees can see their whole financial picture and be better prepared to plan for the future. Advice from a live financial advisor should be available so employees can ask questions they may have while managing their finances. Retirement planning hasn’t always been an issue for employees because they historically had the security of a defined benefits plan managed by their employer and Social Security. However, today employees cannot rely on these types of programs, and they must figure out how to manage their long-term finances on their own. The onus falls on employers to equip their workers with the right tools and decision support they need to make educated and wise decisions. John Larson is Director of Business Strategy and Financial Wellbeing leader at Xerox HR Services. As a subject matter expert, John is responsible for communicating to clients, prospects and the business the future of financial benefits and developing the vision to meet these challenges. He is a regular contributor to Xerox’s HR Insights blog and speaker at conferences. Previously, John worked for Buck Global Investment Advisors as an investment consultant to defined contribution plans, pension plans and endowments. He was also responsible for multi-asset class manager research. John started his career with Mercer Investment Consulting as an analyst. John holds a Bachelor of Arts in Economics from Bucknell University and a Juris Doctor from DePaul University College of Law.